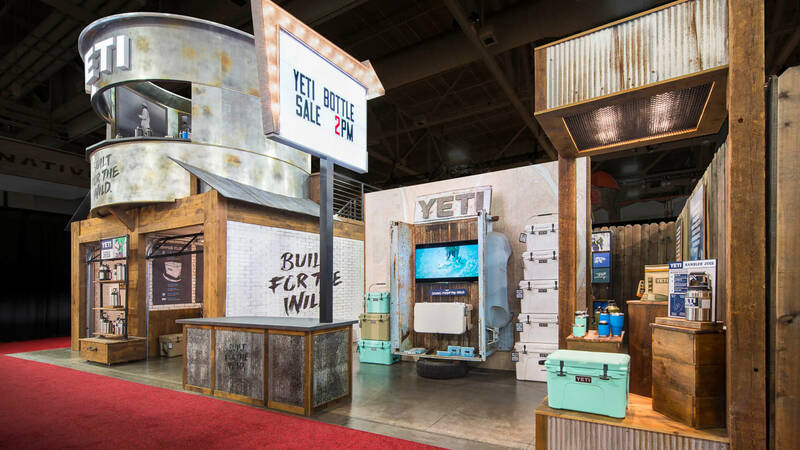 Condit builds immersive brand experiences for trade show exhibits and beyond. Bring your vision, and we will collaborate, concept, design, fabricate and deliver everything you need to make that vision a reality. 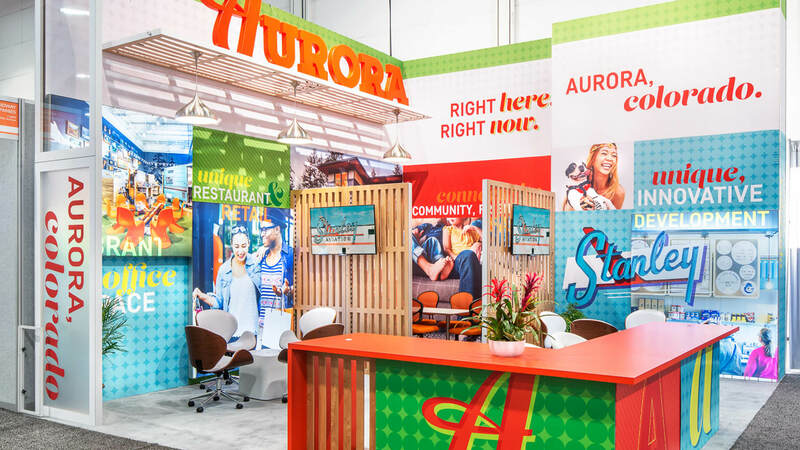 We believe face-to-face marketing is the most effective and authentic way of connecting with your audience, and we jump at the chance to help you put your best foot forward when exhibiting at trade shows. When you work with us you’ll have a single point of contact who will take you through concept to creation with acute attention to your vision and budgetary resources. 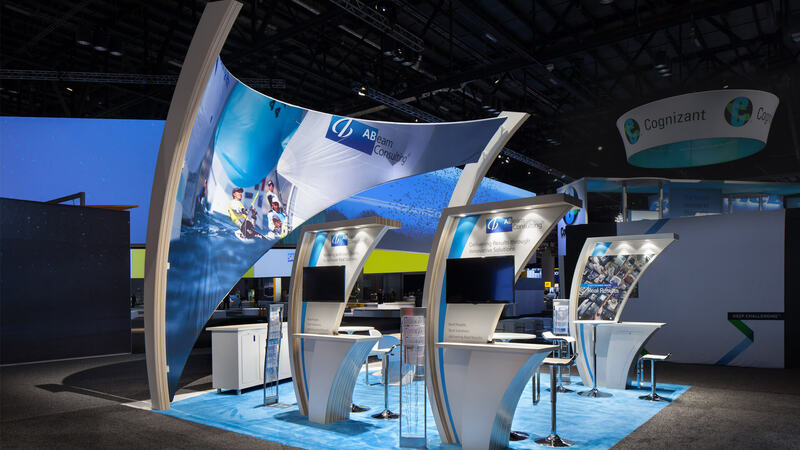 A custom exhibit gives your organization the ability to create a uniquely effective and memorable experience. Like a custom home, you’ll have control and input on all the details. These are also the projects where our designers and fabricators shine, they thrive on solving creative challenges. 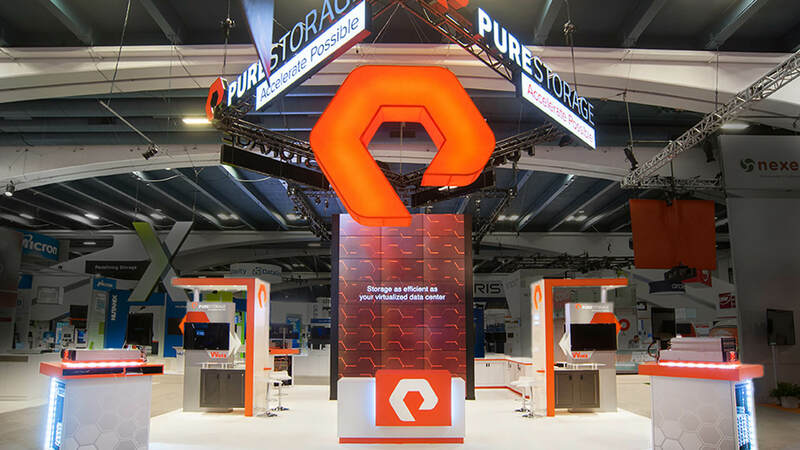 If you’re not quite committed to a fully custom trade show display, our rental and custom/rental options can reduce costs and increase flexibility without sacrificing creativity. If you have a tight budget or you are exhibiting at many trade shows each year, a portable option may be the right fit. 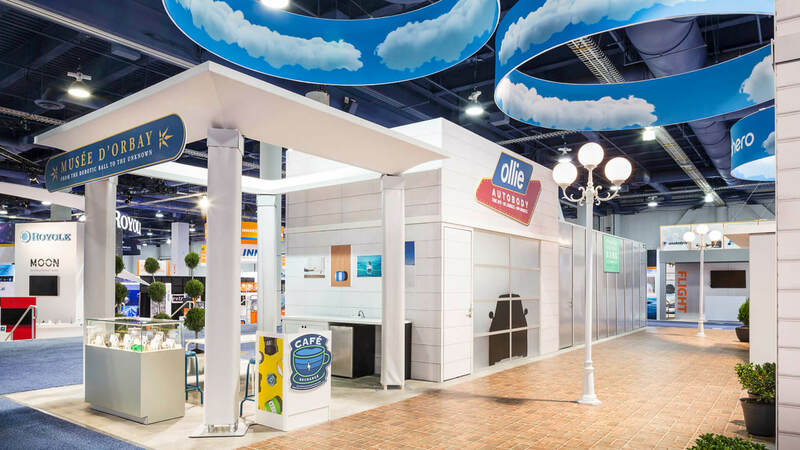 We have an extensive selection of portable exhibits and modular solutions that will meet your brand needs. Technology used creatively and functionally helps your brand exude innovation. Not just add-ons, these integrated solutions will gain you a leg up on competitors. We’re here to help ease what may seem like a financial and logistical burden. It may seem daunting, overwhelming, “a good idea but not worth the hassle”. We’ve heard it all. If you have strong overseas markets, it’s probably a great idea to bring your brand closer to them. We’ve worked with a number of stateside clients to transition their exhibit and brand abroad.